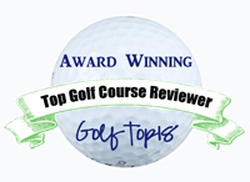 MYRTLE BEACH, South Carolina – This is one golf milestone that certainly shouldn’t go unnoticed. Myrtle Beach Golf Holiday is celebrating its 50th anniversary this year. Back in 1967 Myrtle Beach was by no means the golf mecca that it is today. It had only nine courses then. Now the number of courses on the 60-mile Grand Strand from Pawley’s Island to just across the state line into Brunswick County, N.C., is nearly 90 and every relevant public course in that area is a member of Myrtle Beach Golf Holiday. Finding they couldn’t market their courses individually, the owners of Myrtle Beach’s courses started thinking about a marketing strategy as early as 1962. Thanks to the support of local hotels they made the Myrtle Beach Golf Holiday a reality five years later and that corresponded to the rise of golf packages, now the most popular way for golfers to find courses while on vacation most anywhere. The original nine courses were Pine Lakes, The Dunes Club, Conway Golf Club, Winyah Bay, Carolinas Country Club, Surf Golf & Beach Club, Whispering Pines, PineHills Course at Myrtlewood and Litchfield Country Club. Winyah closed in 2005.and Carolinas doesn’t exist under that name. The owners of them all, though, started something that turned out very good. The Myrtle Beach Golf Hall of Fame is part of the ambience at Pine Lakes, the first course in the area. 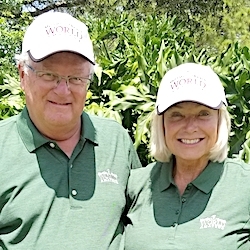 “It’s amazing what they created,’’ said Bill Golden, president of Myrtle Beach Golf Holiday. He joined up 19 years ago after working for Golf Digest magazine and never regretted it. The golf’s been pretty good, too, for one very important reason: just like the Holiday founders, the course owners have been able to work together. Pine Hills has a beautiful, stately clubhouse that complements a course that was built in 1927. But, in Myrtle Beach, it’s still been able to become big business. 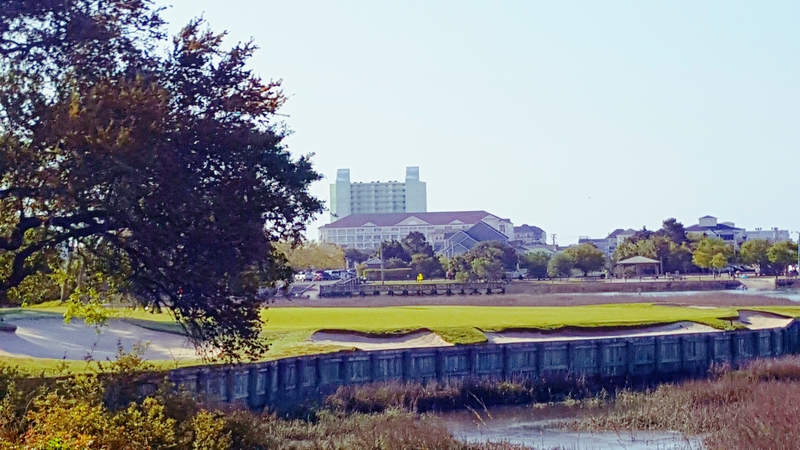 The Myrtle Beach area attract nearly 1 million golfers every year and Golden reports that the area courses together have 3.3 million rounds annually. That’s a lot of rounds. Though the pro tour stops are gone, the Holiday tournament group runs some far-reaching events. The Myrtle Beach World Amateur Handicap Championship has been played for 33 years. This year’s version tees off on August 28 and runs through September 1. It is played on 60 courses in the area and draws over 3,000 players. Every state in the U.S. except Alaska and South Dakota had players in the last World Am and 24 countries were represented in the field. Founders Club at Pawley’s Island has waste areas on every hole as a substitute for cart paths. The World Am is biggest event but the staff stages six others and helps with some put on by other groups. The Holiday events started as early as February this year, when the Preseason Classic drew 200 players from 22 states. The March Championship has drawn over 70,000 players in its 32-year history. Myrtle Beach Golf Holiday also hosts the Palmetto Championship, the nation’s largest high school tournament, and the Dustin Johnson World Junior, which is played at TPC Myrtle Beach – where the world’s current No. 1-ranked golfer has many of his trophies on display. No area of the country can match Myrtle Beach for the destination’s quantity of quality courses. There are lots of them. Some are part of multiple-course facilities; some stand-alone. Some offer lodging, some don’t. Some are part of resort groups. Some have single ownership. The cost to play each one varies dramatically. 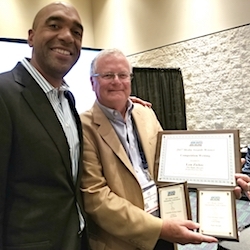 Still, the course operators have stuck together and made Myrtle Beach Golf Holiday the sport’s largest non-profit marketing consortium. 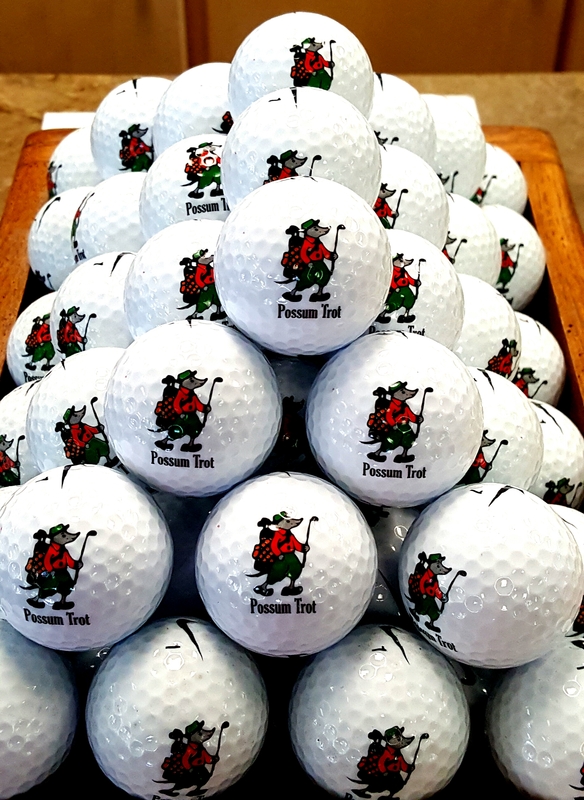 Possum Trot’s logo ball stands out. Of all the Myrtle Beach courses Pine Lakes is the richest in history. The original holes were designed by Robert White, a native of St. Andrews, Scotland, was also the first president of the PGA of America. The facility once had 27 holes but lost nine during the Great Depression. The existing 18 is pretty close to what White designed. It’s a good walking course and golfers can see the clubhouse from every hole. Not many courses anywhere can make that claim. Though the course has undergone regular updating, only Nos. 4 and 5 were notably altered during a 2009 redesign by architect Craig Schreiner. The course has certainly withstood the tests of time and its clubhouse reflects its rich past with its history wall adorned with memorabilia photos and newspaper clippings. Among the artifacts is artwork provided by the noted magazine Sport Illustrated, which was founded at Pine Lakes by a group of executives in 1954. The Myrtle Beach Golf Hall of Fame is also based at the club. 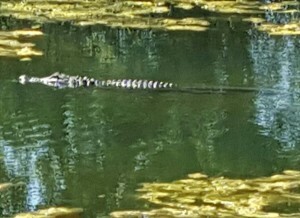 The only alligator we saw in four rounds was this one, at Founders Club. Pine Lakes may have come first, but the course that really put Myrtle Beach on the map was The Dunes Club, which opened as the area’s second course in 1948. The architect was Robert Trent Jones Sr., who wasn’t famous then but is now looked on as one of the great course designers of all time. His sons Rees and Robert Trent Jones Jr. are now among the world’s foremost course architects. The Dunes has hosted tournaments on all the major tours as well as many top amateur events. This year it will be the site of the U.S. Golf Association Women’s Amateur Four-Ball Championship. Myrtle Beach offers an embarrassment of riches for golfers. Twelve of its courses have been ranked on Golf Digest’s list of America’s 100 Greatest Public Courses and more than half of the Golf Holiday member facilities have been given 4-star or better rankings in that publication’s Best Places to Play Guide. 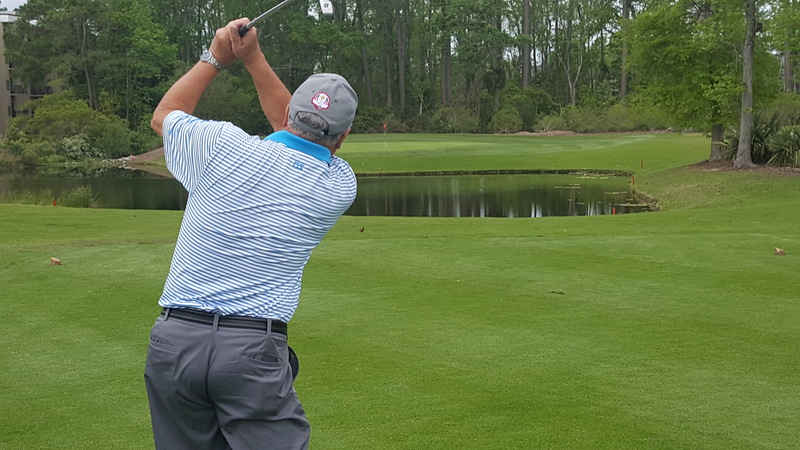 As a six-time visitor to Myrtle Beach over a span of about 20 years, I’ve seen how much the area has grown over the years and can appreciated first-hand the variety of golf offered. Every visitor will have a favorite course, but I’ve found mine changing with each visit. Railroad ties were worked into the design in several places at Possum Trot. The Caledonia Golf & Fish Club generally stands out with all who have visited but its companion course, True Blue, is a beauty, too. Our most recent visit took us – in addition to Pine Lakes – to Founders Club at Pawley’s Island, Tidewater and Possum Trot. 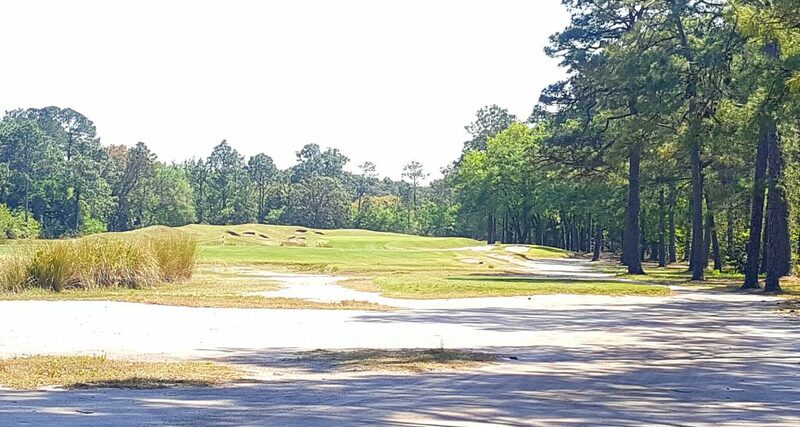 Founders Club, among the courses celebrating the 30th anniversary of Pawley’s Island, has perhaps the most unusual design in Myrtle Beach. Once called The Seagull, its redesign virtually eliminated standard cart paths. Waste areas on every hole take their place. 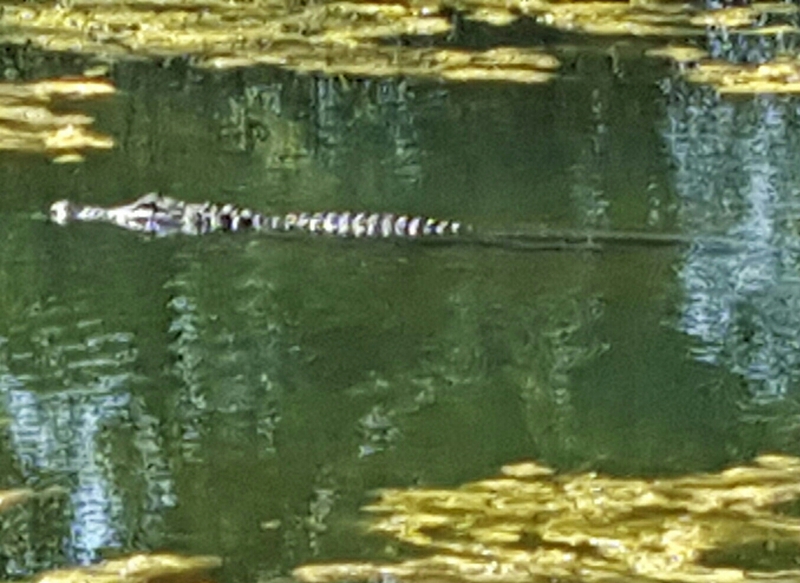 Tidewater is one of the area’s most scenic courses, to be sure. Its location – between the Intracoastal Waterway and Cherry Grove – provides views of the city skyline and marshes as well as the natural beauty of the Grand Strand. It’s now right up there with my Myrtle Beach favorites. So is Possum Trot, but for different reasons. 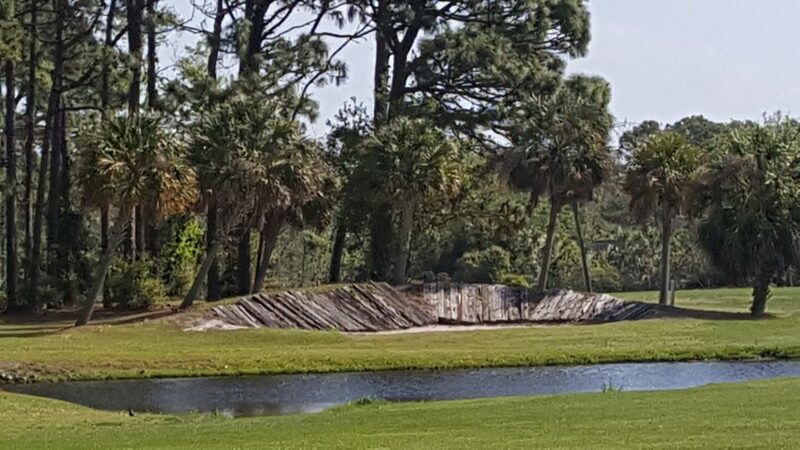 No doubt this short, sporty well-conditioned layout with 560 palm trees – a surprising number for a course that isn’t in Florida — deserves its claim to being the “Friendliest Course on the Beach.’’ Possums disappeared long ago, but I love this layout’s logo and other special touches as much as the fun golf the course offers. A fountain at the home hole created a memorable finish at Possum Trot. A marsh contrasts nicely with the Cherry Grove skyline at one of Tidewater’s best viewing spots. A tee shot over water on a Pine Hills par-3 hole was just one of the challenges on that layout. The Founders Club at Pawley’s Island had one of the biggest putting greens I’ve ever seen.